The Sandiganbayan considered Ilocos Norte 2nd District Representative Imelda Marcos’ advanced age and state of health in granting her post-conviction bail. According to a Rappler report, the anti-graft court followed the Supreme Court (SC) decision that granted bail to former Senate President Juan Ponce Enrile because of humanitarian grounds. The ponente of the SC decision is new Chief Justice Lucas Bersamin. “Taking into account primarily the fact that she is of advanced age and for health reasons, consistent with the doctrine in Enrile vs Sandiganbayan, bail is allowed for these 7 cases,” the Sandiganbayan said. 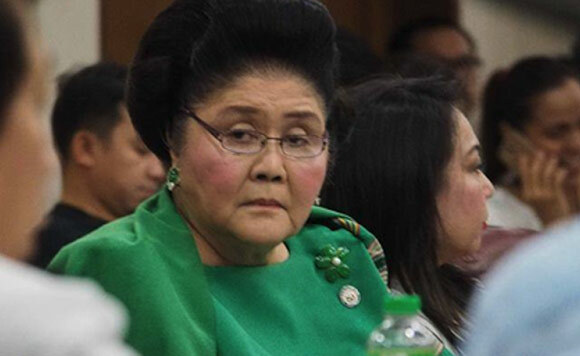 The 89-year-old Marcos was found guilty of transferring around $200 million to seven Swiss foundations during her term as a member of the defunct Batasang Pambansa and as former Minister of Human Settlements.